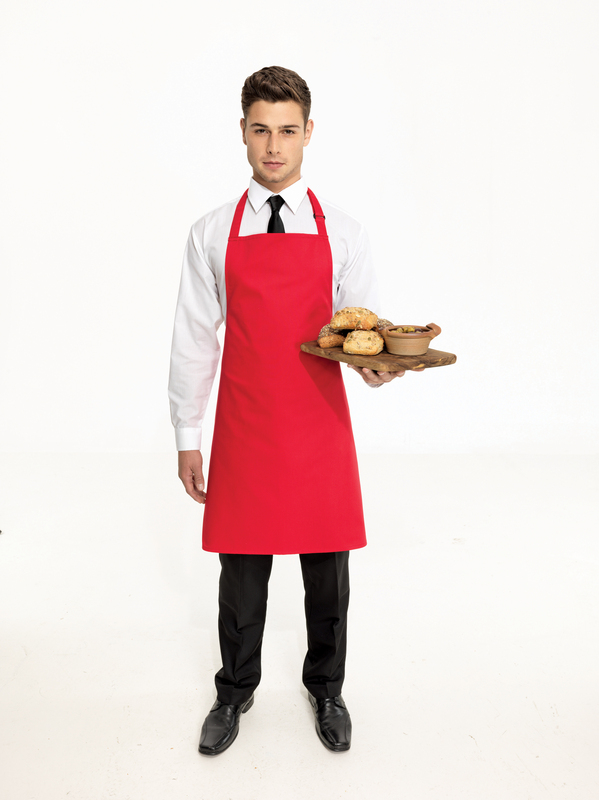 Bib apron with sliding adjusting buckle. Self fabric neck. Self fabric ties 90cm long. Width 72cm, length 86cm.